Just below the Sacra Infermeria in lower Valletta a flight of stairs leads to a curious part of the city – an area that hugs the shore below the mighty ramparts of Fort St. Elmo. 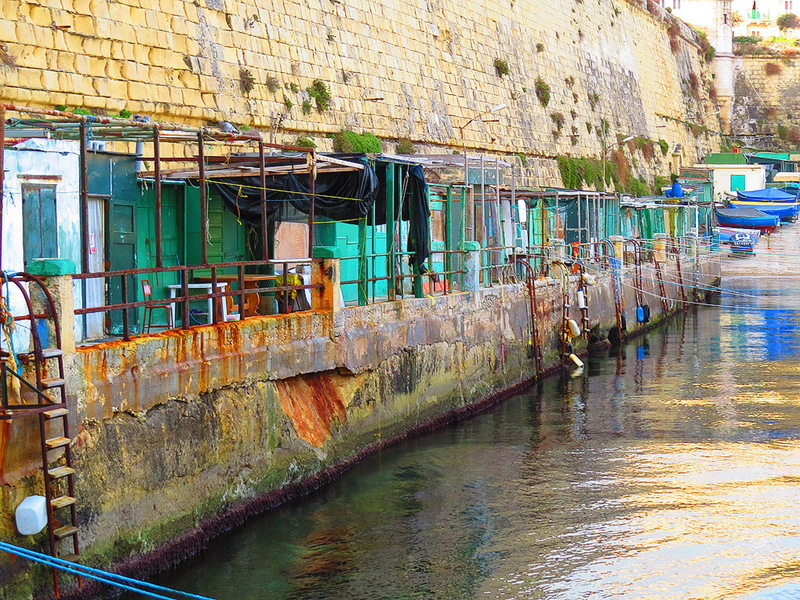 This is a part of Valletta that is almost alien to the rest of the city – physically detached by the bastions above and seemingly living a sort of quiet life of its own. It is also rich in historic memorabilia. At the foot of the stairs there is a ramshackle village of stone and concrete huts – an area known as Taht iz-Ziemel (literal translation underneath the horse) a curious appellation the origins of which seem to have been lost. The huts serve as summer houses for some of the residents of the city, others keep small boats here, and there are usually a couple of fishermen trying their luck off the rocks. In summer this area also sees some swimmers – though the sea inside the port is hardly the most salubrious of bathing waters. Interestingly some of the bollards used to tie boats, and strong enough to moor ships to their anchor, are in fact Knights’ cannons! Continuing around the walls of St. Elmo through rock hewn stairways and over a couple of bridges one finds a building called the Boom Defence. From this building a metal net protecting the harbour from underwater attack used to be put in place in times of need. The system was assembled in 1909 and first used during the Abyssinian Crisis of 1935, and again used extensively during World War II. There was only one attempt to breach the harbour in that war. On 26 July 1941 Italian E-boats launched a daring attempt to penetrate the Grand Harbour. 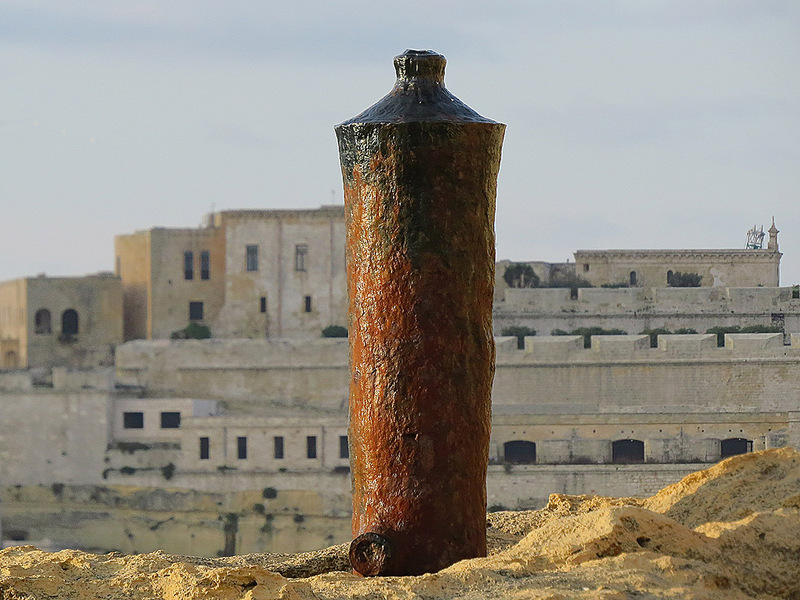 The attack was repulsed by Malta’s coastal batteries. One of the boats exploded against the nearby breakwater bridge which was left in ruins until it was rebuilt in 2012. Past the breakwater, the north-facing outer walls of St. Elmo can be viewed in all their majesty. Rounding the corner the view of Sliema’s high-rise district of Tigne comes into view – a somewhat rude intruder on this scene. A little way on and around St. Elmo Bay there is another picturesque area of fishermen’s shacks called the Jews’ Sally Port. This was the site of one of the last slave markets in Europe – with slaves from the Knights’ frequent piracy forays being unloaded here and the place Jews intending to pay ransoms to free fellow Jews could land and conduct their redemptive business. A little off the shore lies the wreck of HMS. Maori, a British destroyer sunk in 1942 and now a popular dive site. This area also includes a couple of bars – not the well-heeled sort you will find in the city within the walls, but the sort of cheap and cheerful places where one can expect the welcome to be warm and the beer cold. 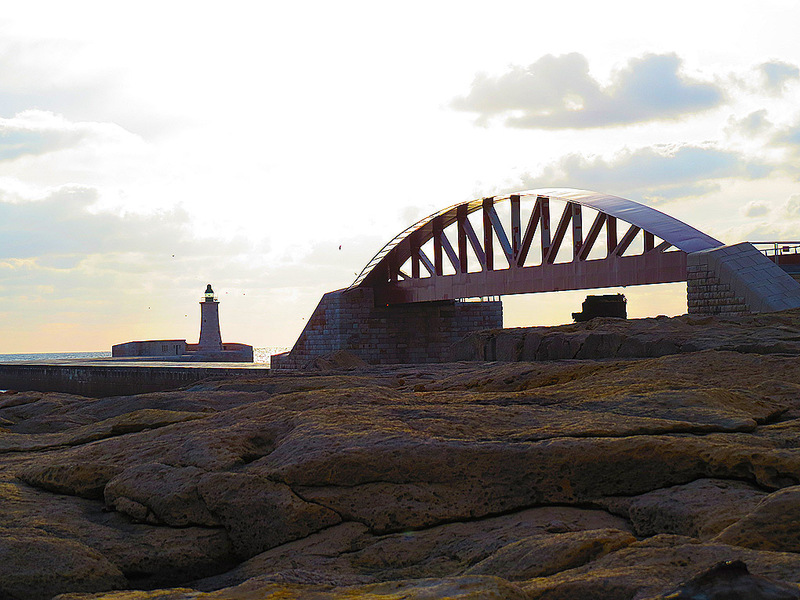 Rounding the bay, an arched opening in the bastion takes you back in the city proper. 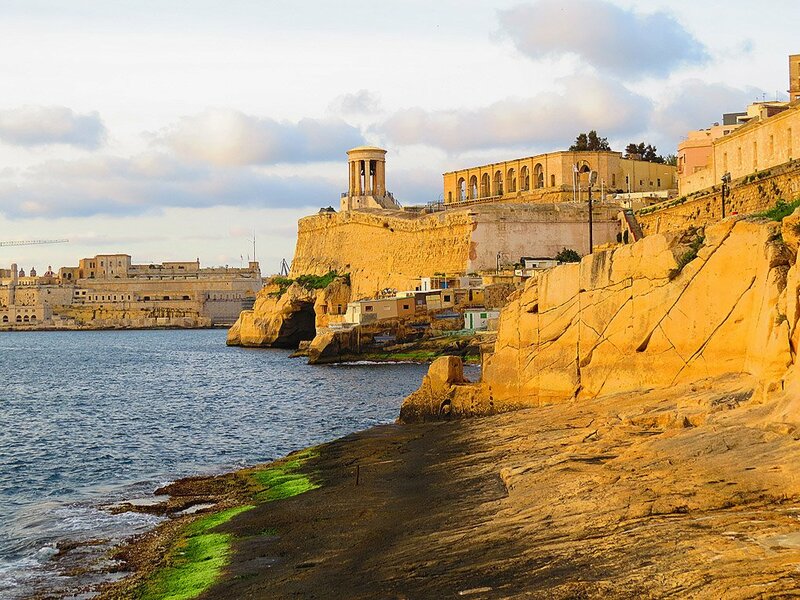 Have you visited Valletta – below the ramparts? Love Valletta and hope to explore this area on my next visit.